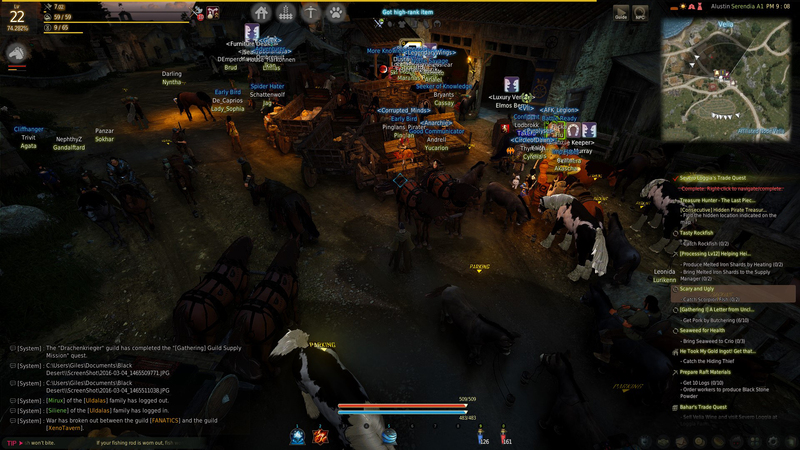 Black Desert Online officially launched yesterday! Lux Arcana has been in-game since the soft launch on the 28th and is gaining more members every day. With the exception of some launch delays yesterday the pre-launch went pretty smoothly and most of us are enjoying it so far. The game world is really beautiful and for me hits the perfect compromise between realism and style. 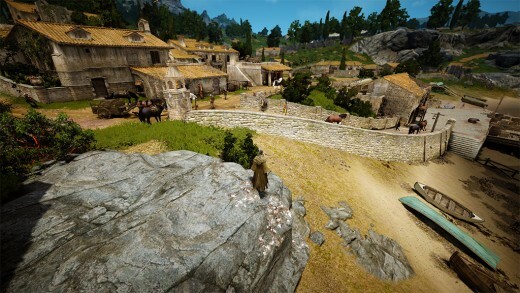 I find the style quite similar to the Witcher 3 where most towns have a fairly realistic medieval or Mediterranean look and feel. Due to the fact that horses and wagons stay visible when not being used (unless de-spawned via stables) and that players are always moving goods between locations with NPC workers and wagons, all the towns, villages and roads seem very alive unlike in other games. The day and night cycle is also very good and the game has the darkest nights I’ve ever seen where a light source is really needed away from civilization. The dynamic weather system is also excellent with all the terrain and your character’s clothes getting wet when it rains, and the thunder and lighting are also quite impressive in storms. The map is very large. So far I’ve only explored about 20% of it but already found some fantastic locations like really high mountains, towers, lakes and islands off the coastline. The game boasts a Parkour System where players can interact and climb over buildings and obstacles to easily navigate environments. Many of the beginner quests involve climbing up over roof tops. Your character can also interact with many objects for effect e.g. sitting on chairs and leaning against walls. You also have a full set of emote stances. Although the 7 classes on launch are gender locked e.g. male-only Wizard (female equivalent is the Witch class) more gender opposites are being planned like a male Ranger. For me this is no big deal and the very detailed character customisation (and appearance in-game) more than makes up for it. Like many games that originated in Asia the female characters could do with a few more clothes! But to be honest it’s not as blatant as in many other games I’ve seen and you can also change the look of how you are dressed independently to the armour you are actually wearing. In fact armour is treated differently in this game as all classes can wear anything and it’s not level locked, so you can stick with a look you like. 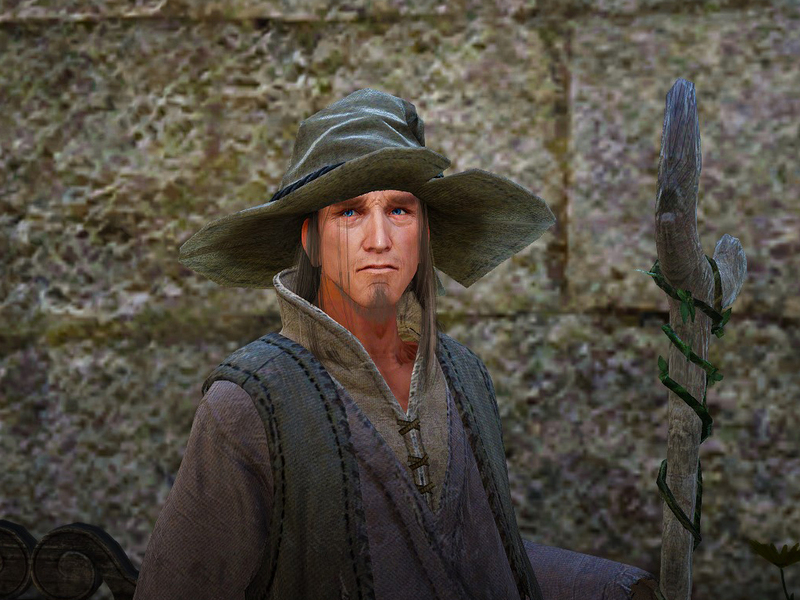 Farmer Belteyn on day one! I’ve only played the Wizard class so far – a fairly standard elemental damage dealer and ‘glass cannon’. I read the Wizard is considered a little over-powered and to be honest it feels that way! I rarely feel challenged in solo PvE combat but it’s still fun. How this will change when I hit higher levels and PvP I’m not sure. I’m not sure how all the other classes play, but I think most people agree that levelling to 50 is pretty easy. I’m taking my time, but you can easily grind there in a couple of days if you really want to. The combat mechanics are a little different to other MMOs I’ve played. Many abilities require intricate key combos while dodging attacks, instead of merely pressing a skill icon. While you can use skills off the icon bar you are actually penalised slightly for doing so, making it important to learn all the button/key combinations. You can also fight from your mount as well. Targeting is semi-automatic in that you have to first target and then further attacks will go towards that mob, but you can still miss, so it does require a little more skill. Again, how this will play out in PvP I’ve yet to find out. At first the full range of what you can do in the game seems a little daunting and the help system is pretty weak, but after a few days it all starts to make sense. The quest system is fairly standard with a mixture of kills quests, talking to NPCs, harvesting and a few others involving finding or moving things about. Quests teach you the game early on. After that they mostly introduce the storyline and gently guide you to newer locations, but not in a way that you feel forced to go from A to B to C. Completing quests mostly gives you items and Contribution points rather than combat experience which you get from killing mobs. For this reason you can grind fairly quickly to 50 just fighting mobs, but doing so and avoiding the quest lines means you lose out on earning Contribution points and unlocking quests and items from NPCs that you have to build favour with though constant interaction. That said, I believe you can go back later and build Contribution points so this mostly comes down to your play style and game objectives. Contribution points are the currency by which you can rent property for a personal house, your worker housing, trading and also Nodes. Nodes form a lattice across the map and when joined together between towns allow you to set up trade routes, share workers and even just get a better drop rate when fighting mobs nearby. As banking is entirely local you also have to manage resources in all the locations you are playing in and organise money and resources to be moved about. While it takes a while to get the hang of I’m actually really enjoying this aspect of the game so far as it seems to offer lots of potential. The ‘end-game’ is mostly PvP focused. 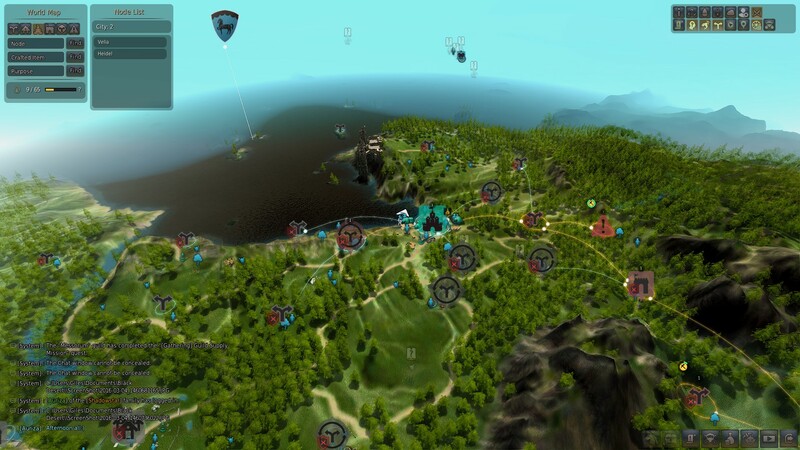 You can start to PvP at level 40 and after level 50 guilds can fight for control of Nodes and territory by building castles and sieging them. PvP is mostly flagged but can take place anywhere other than in towns, although guilds can declare war on each other and the fight anywhere. To be honest we didn’t get to find out much about all of this from Beta but it’s definitely something Lux is going to get fully involved with. Naval warfare is even plan for further expansions! I could write a lot more but this review already feels too long! So far we’re really enjoying the game and hopefully it will continue to appeal in the weeks to come. Lux is an organised guild with some excellent players across all play styles and if we can get the numbers we want to get fully involved in everything the game has to offer. If you would like to join us then our recruitment policy is fairly casual. 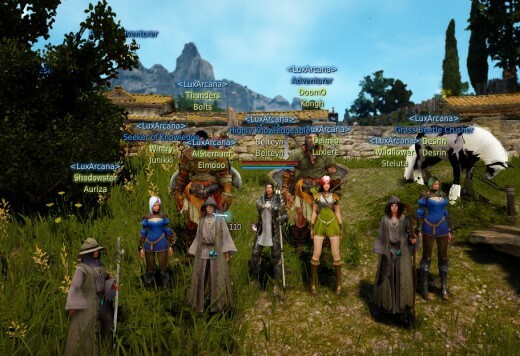 Please check out our Black Desert Online forums for more information. To join us either contact Belteyn in-game or preferably apply via our forums. See you in-game! Great introduction, and such a wonderful game!